Can’t decide on a gift? How about a Hollister gift card. Hollister is the coolest destination for genuine SoCal style clothes for guys and girls. Check out the hottest new looks to hit the pier, and see what’s new in stores. 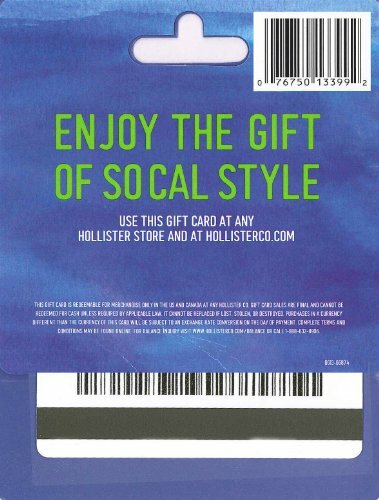 Give them gift of something awesome with a Hollister gift card. 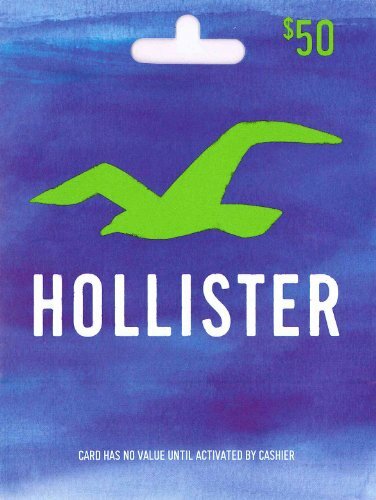 Hollister gift cards may be redeemed in the US and Canada on the Hollister Co. websites or printed to use at store locations.